With one-third of children in the United States either overweight or obese, it’s quite clear that something needs to change. One good place to start would be changing the types of foods marketed to children. Countless studies have shown that food marketing efforts make a substantial impact on the foods selected and eaten by children. Unfortunately, very few companies have been willing to take the decreased revenue that would likely result from banning junk food from their promotional efforts. I digress. Before now, not even one company has been willing to make an effort to stop marketing unhealthy foods to children. But that all is about to change; and the change is going to come from a source that parents and children are bound to respect and appreciate. Mickey Mouse and his friends have warmed the hearts of children for nearly 100 years. It’s hard to believe it’s been that long, yet many of us parents remember growing up with Mickey and other enchanting Disney characters. In so many aspects, they are pioneers in the hearts and minds of children. Their pioneering efforts will now take on a new form; they are formulating requirements that will restrict the types of foods marketed on their shows and by their characters. 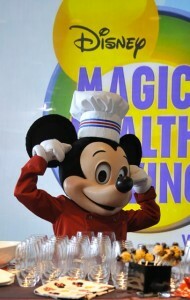 By 2015, all foods and beverages promoted, advertised or sponsored on the Disney Channel, Disney XD, Disney Junior, Radio Disney, Disney.com, and Saturday morning children’s shows on ABC must meet the company’s new nutrition criteria. The criteria is largely influenced by the government’s dietary guidelines and will focus on limiting calories, reducing sodium, sugar and saturated fat in foods marketed towards children by their company. This means that many foods and beverages parents and children are used to seeing on children’s programs will fall off Disney programs, including certain snack foods, soft drinks and prepackaged lunches. 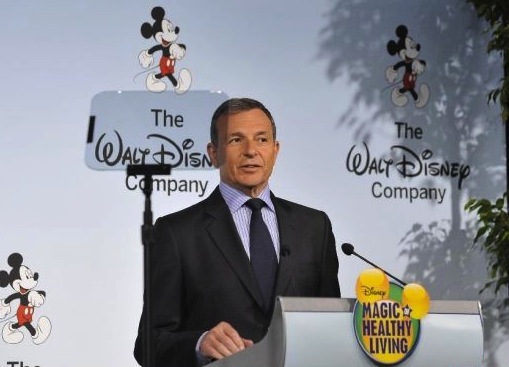 “Parents can be confident that the foods associated with Disney characters or advertised on Disney platforms meet our new, healthier nutrition guidelines,” said Robert Iger, chairman and CEO of Disney. Their efforts are receiving mounds of supports from nutritional advocates, including first lady, Michelle Obama. But it won’t all be nutritious, Wootan pointed out. Their efforts may still fall short of what some parents – myself included – would really call “healthy foods,” and they will still market some “better-for-you versions of products that are not perfectly nutritious. There are still going to be SpaghettiOs and things like that in the mix,” said Wootan. One example that will help parents fully understand where the line is drawn would be the promotion of breakfast cereals. All cereals promoted or endorsed by Disney must contain 10 grams of sugar or less. 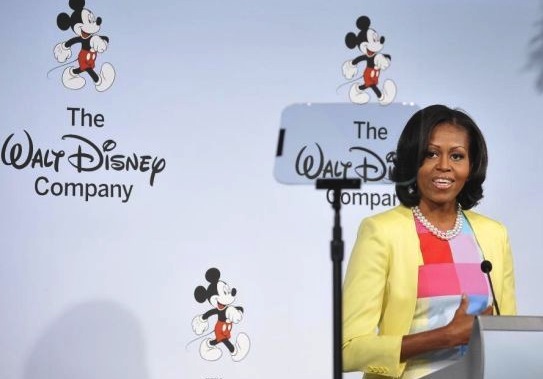 But the worst offenders will, in fact be kicked off of Disney programs and Disney characters will no longer grace the exterior of their food packages. And this is an effort to be praised, even if some of the foods that continue to receive endorsement from Disney are still a little “questionable” in the minds of some parents. This is especially true when the sheer loss of revenues that Disney may face because of their decision. That empowerment could very well change the way we choose to feed our children. Most parents will attest to how difficult it is to explain to children that they can’t eat a certain food just because it has a certain character on it. Yet children relate with these characters, much how their parents related with them when they were younger. Because of this, parents are often at a loss when it comes to getting their children to make healthier food choices when their child’s favorite character is found on the unhealthy food, but not the healthier option. These new guidelines may offer an answer. Even before this release was published, I noticed an interesting change – one that I hadn’t realized was even happening. While grocery shopping with my children last week, we picked up some bananas at the store. Attached to the bunch was a Madagascar 3 sticker. I remember thinking how interesting it was to see the sticker on the bananas, but hadn’t given it anymore thought, until now. I, for one, am very thrilled to share this exciting news. I am a Disney fan at heart, and I always have been. While this isn’t their first step in promoting healthier food options – in 2006, they started offering fresh fruits and vegetables at their parks – it is their biggest effort. It has the potential to reach more people, particularly children – children that have been bombarded by advertisements for soda, cookies, cakes and so much more. It’s about time someone took a stand, and I’m proud to see the first is Disney. Toms Debuts Magical Disney Princess Collaboration! Disneyland Resort Celebrates the First-Ever Pixar Fest!